Archangel Sandalphon: “We angels bring you gifts from your Creator. Open your arms to receive.”. Our angel, Sandalphon’s, cape and toga tousle in the breeze. Dressed in colors that we often see as royal, we easily recognize Sandalphon as a member of the High Court. In his hands, he holds a golden chalice in the posture of giving. Or is he receiving? We would argue both. 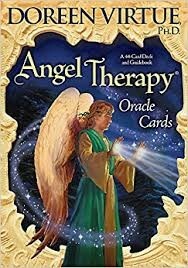 Get an Angel Cards Reading Session with Julianna Day now! While Sandalphon is known for his roles as protector of the Earth and Master of Music, he is best known as the Angel of Prayer. During the Feast of Tabernacles, Sandalphon, it is said, gathers the prayers of the people and weaves the prayers into a garland, sending them to the Throne of God to be heard. It is a beautiful image, this angel taking the prayers of each one of us and entwining it with the prayers of others. A sparkling strand of hope and trust. Prayers of the faithful presented to God with anticipation of His answer. Prayer is Sandalphon’s special charge. I often visited a lovely, old, tiny church in my home city. Built in the 1800s and no longer in use for liturgical services, the once-vestibule is now cluttered with old but still beautiful statuary and nearly ancient wrought iron candle stands. The large oak doors open to a dimly lit entrance — lit mostly by the hundreds of candles burning in tall, red and blue and purple glass containers. Even for those not sharing the same faith tradition, it is a hauntingly magical place. It is a place where prayers are formed into words. Where the energy of pain and fear and joy and peace – and hope — is nearly palatable. As churches go, it is neither the trendy suburban kind with the comfy cushions and an air of civility nor is it a grand cathedral with all of the stained glass and carved trimmings where the dark woods have absorbed the incense over the ages. It is neither a place where its congregation is a harried hurry of wool blazers nor a lazy cascade of big hats and floral prints, best-dressed little ones lingering at an ornately designed stone entry. In what was once the heart of a Polish, Irish and German immigrant neighborhood, is located in what is now, and was even then, a warehouse district. A maze of one-way cobblestone streets and make-shift parking spaces. Its visitors? It makes me smile to say that when the huge wooden door is pulled open, one never knows who will walk through. From business men and women to grandparents with a little one in tow to those to those for whom life has given much and those who have lost everything. The world walks through those doors. They bring their prayers. It is a place where Belief lives. It is a place from which prayers are sent. It is the kind of place where one would expect to find Sandalphon, watching quietly. Weaving his garland. Our garland. Amidst the white and pastel colored statuary, there stands a podium. I must admit that although it has been standing in that spot since I was a young girl, I never thought to look at the book resting on it. Although the place does call one to linger, my lingering was always more of the candle-lighting-kneeling type. What I was seeing turned out to be a small piece of white-lined notebook paper. The paper had grown soft and had been folded many times to fit securely between her fingers. Gingerly, I opened it. Please. One word printed in upper and lowercase on the small note tucked into the statue of Saint Rita. The patron of the desperate and forgotten. A one-word prayer. I refolded it quickly and somehow (could have been my shaking fingers) couldn’t get it back in its rightful place. I wiggled my finger between her palms to see what was blocking me and … a small piece of yellow paper. Beneath that another balled and smashed piece. With fresh eyes, I scanned the room. There were bits of paper and cards everywhere. Tucked under statue bases. Stacked inside the papier-mâché grotto with Saint Bernadette looking on. I looked at the podium and, with a sense of wonder, awe and profound respect for these authors, made my way to the book perched there. Pages upon pages upon pages of petitions. Supplications. Prayers that marriages and children and homes and bodies be made whole. Prayers for understanding. Prayers of gratitude. Prayers dating back decades. It was a walk through the lives of Us. It was a stark and sometimes harsh reminder that our lives are not as unique as we like to believe they are. It was a reminder of the power of faith. It was beyond humbling. Would I ever, ever be courageous enough to put my prayer onto paper? To make it “real” in a way that prayer isn’t or certainly doesn’t need to be? I doubted it. I left that day with my belief in prayer heightened. With my belief in faith heightened. I left feeling very grateful and very, very tiny. Years later, I had the pleasure of becoming dear friends with several of the priests who maintained the chapel. I asked my friend what becomes of the paper-prayers? He laughed and looked a little amused that I would need to ask: We take them back to the church and pray for their intentions (duh, Julianna, of course)! When we receive this card from the deck of Angel Therapy, it is a reminder that prayer is perhaps one of our greatest Gifts from God. Prayer reminds us that we are part of a bigger whole; and somehow at the same time confirms for us that our voice, to God, is singular. Prayer conveys our thoughts and dreams and hopes and fears and that’s whether we write them down or speak them aloud or murmur them silently or, perhaps most profoundly, simply sit with our thoughts in our heart. True supplication comes from a place of humility and gratitude. Its gesture is the open palm rather than the clasped hands. It is from that place that healing begins. This season as we are scrambling to find gifts to give, offer the gift of prayer. Quietly. Without fanfare or acknowledgement. 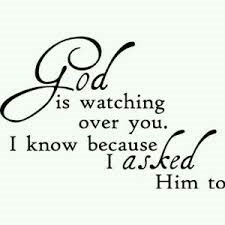 Offer a prayer for someone you don’t know. Someone you pass on the street. Offer a prayer for the woman at the bus stop glancing at the sky and worrying that the rain will come sooner than the bus. Offer a prayer as an ambulance passes. When you catch a glimpse of your waitress suffering through a nervous call on her cell phone. When you pass a hospice. When you pass a school. Make your prayers for others personal. Please keep him safe today. Please bring his heart peace. Please take away any physical pain she has. Please help her to do a good job. Please give him patience with his children. Bringing prayer into your everyday world doesn’t have to be a big deal. It doesn’t have to involve affirmations and not-so random encounters. It doesn’t require proclamations. It doesn’t even necessitate sharing. It can be as simple and as simply profound as … Please. This year, as you decorate your home, think of Archangel Sandalphon and pass along the story of the Garland of Prayers. Wishing you and yours a beautiful holiday season. A season filled with love and joy and answered prayers! 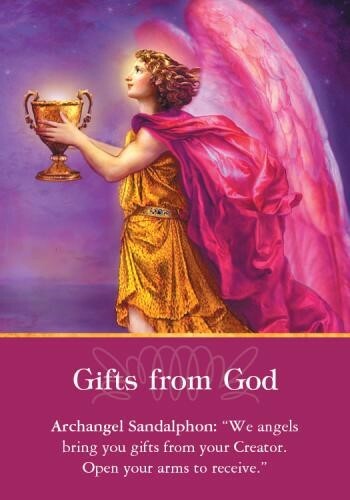 The Gifts from God Angel Card is selected from Doreen Virtue’s Angel Therapy deck. A lifelong psychic-intuitive, it’s a pleasure and honor to walk with you along your journey.